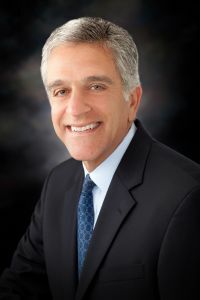 Sanford G. Cohen - Weycer, Kaplan, Pulaski & Zuber, P.C. Attorney - Weycer, Kaplan, Pulaski & Zuber, P.C. He has been married to Terry Cohen and has three grown children, Grant, CeCe, and Kirby. Mr. Cohen has been associated with the firm since 1981, which represents the entire time he has practiced law. Mr. Cohen became a shareholder in the firm within six years after joining the firm. Mr. Cohen has represented many of his existing clients most of his career. Mr. Cohen concentrates his practice in the areas of real estate, lending, and entity formation matters. His real estate practice is very extensive involving complex and large transactions ranging in size from one hundred thousand dollars to hundreds of millions of dollars. During his years of practice, Mr. Cohen has finalized approximately three billion dollars in acquisitions, sales and loans. In addition he has extensive experience in other commercial and residential matters including leases, foreclosures, easements, development, construction contracts, partnerships, corporations, limited liability companies, and credit tenant leases and financing. Mr. Cohen represents a wide variety of clients including landlords, tenants, real estate investors, retailers, restaurants, banks, brokers, manufacturers, real estate developers, and real estate management companies. Represented Purchaser on the acquisition and financing of a Class A three office building complex in Houston, Texas containing approximately 1,100,000 square feet. Transaction value approximately $172,000,000.00. Represented Purchaser on the acquisition and financing of a Class A office building in St. Paul, Minnesota containing approximately 800,000 square feet. Transaction value approximately $105,000,000.00. Represented Purchaser on the acquisition and financing of a Class A retail center on the Las Vegas Strip, Nevada containing approximately 93,000 square feet. Transaction value approximately $93,000,000.00.Represented Purchaser on the acquisition and financing of a Class A mixed use development in Colorado Springs, Colorado. Transaction value approximately $82,000,000.00.